Compitz Global Group LLC - Service Provider of branding, it business solution & education services since 2014 in Bengaluru, Karnataka. The design features in SharePoint 2013 offer an improved process for designing a public-facing internet site or an internal-facing intranet site with pixel-perfect branding. We do customizations based on Customer needs to cater to the company branding requirements. Business Solution management and proposal have become increasingly complex these days with the introduction of a wide range of platforms available at all the levels of hardware/software/network solutions available in the market. We follow the standard agile process of delivery for all development modules but as per client requirements the process is as flexible as it can be. The caveat in this area is that the solution design at the preliminary stage is extremely important since it determines the overall cost structure of the project implementation and any modification at any stage being highly costly and badly inhibits the system effectiveness. 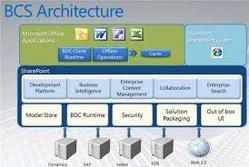 When we talk about the implementation in various layers viz 2 layer architecture and 3 layer architecture the system coupling and decoupling ,SOA and system integration the most effective business solution determines not only the cost overrun of the project but also the effectiveness and final implementation of the entire project lifecycle. Application for Information technology is highly desirable in the education sectors across various countries which have considerably lacked in the application of the latest technologies particularly at the primary and high school levels .IT doesn't applies to the simple Computer Education but a lot of advantages have been felt after the application of systems across K12 across the entire United States and conservable work in this area is still being undertaken. We help in creating one central platform for the whole school management providing for all kind of services including a complete online library system. This is a place where teachers and students can maintain their own individual space and their own assets like images, documents, videos etc. The central system can comprise of central library, test evaluation centers, report cards, parent teacher meetings section, Sports section, media section and a host of other services. What kinds of documents and other content can be created in an organization? Business Connectivity Services offers improvements to the way that SharePoint 2013 and Office 2013 clients can access data that is stored outside of SharePoint. These improvements include support for apps in SharePoint, external list improvements to provide functional parity with other SharePoint lists, and support for OData Business Data Connectivity (BDC) connections. Visual Studio 2010 can connect to an OData endpoint through business Connectivity Services to automatically generate a BDC model for OData data sources. There is a SharePoint 2013 event listener and subscriber to receive notifications from external systems when data changes. SharePoint Server 2013 business intelligence applications and tools let you organize your vision of organizational goals, processes, and performance requirements. Create powerful data mash-ups using Power Pivot, with the ability to process billions of rows, create data models and facilitate sharing and collaboration with Excel Services. Power View provides intuitive ad-hoc reporting. With Performance Point Services and Dashboard Designer, along with Visio Services, create sophisticated dashboards capable of integrating reports and metrics from multiple data sources that are customizable for your audience. The upgrade features in SharePoint 2013 offer several improvements, such as upgrade for service applications and site collections, and a site health checker. The database-attach method is the only supported way to upgrade databases to a new environment that is based on SharePoint 2013. In-place upgrade is not supported. 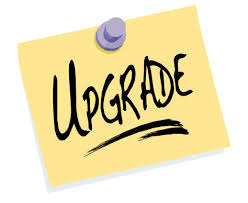 Additionally, the upgrade process now separates the upgrade of software and databases from the upgrade of the SharePoint sites. 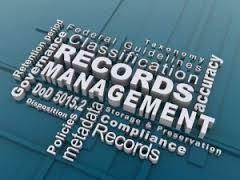 The records management and compliance features in SharePoint 2013 provide improved ways to help you protect your business. The records archive and in-place record retention from earlier versions of SharePoint Server are still supported, and SharePoint 2013 introduces retention policies that can be applied at the site level. The web content management improvements in SharePoint 2013 simplify how you design publishing sites, and enhance the authoring and publishing processes of your organization. 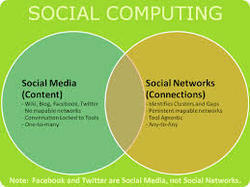 It also contains new features that use enterprise search to surface dynamic web content on publishing sites. One Portal is a software product developed by our company Compitz Global Software Solutions LLP tailor-made to suit the requirements of an Educational Institution. 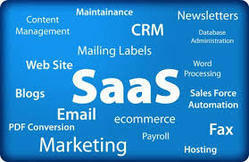 It is a software product which fulfills the day to day needs of an educational institution like a College or a School. When you are in your school/College campus you can avail all the services offered by this product. However you can access all of your college/school resources from your home or from anywhere else in the world as well –all you need is an internet connection to connect to your College/School portal .For those people accessing college resources from within the campus –internal authentication happens .When you are accessing these items from outside the campus all you need is to authenticate yourself and then you can freely access these resources from anywhere in the world just like you Facebook ,Twitter etc. accounts. Files, Pictures, Videos, Presentations, Documentaries, Books etc. .These assets can be held into the portal just like a library holds the books. The only difference is that all these assets are available round the clock 24X7 at the click of a mouse or on your phone anytime anywhere right at your fingertips. Here the concept of Compartmentalization is applied .So let’s say we have Teachers section .It is further divided into Departments and corresponding to each Department –the corresponding teacher has been allocated their portal .So they can upload all of their requirements –like files ,Documents ,Presentations ,videos etc .Security in this aspect is critical .So someone’s personal space is available only to him/her .He can designate his assets like books ,papers etc. into various categories and only those assets which he chooses to share with others will become accessible to others .if he chooses to share a set of papers with a group of teachers –that document will become accessible only to the teachers belonging to that group and will show unauthorized access to other people. All activities including the co-curricular activities can be regulated through this section .Basically any organization will assess and provide us a list of all their requirements and this solution will be tailor-made to suit their requirements .So how the organization wants to manage all of their activities like Functions ,farewells ,Football match etc can be created and provided to them and the organization can manage all of their activities from a central location and track its day to day activities and progress report. 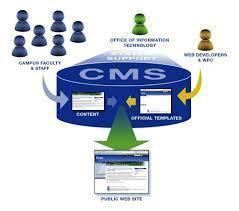 The Portal will be branded according to the brand design needs of the organization . The Whole portal will be divided into compartments depending on the need of an educational organization. For E.g. –Examination –Will contain all the artifacts related with examination requirements of the institutions. So you can plan the whole yearly examination schedule and accordingly pages will be created like Trimester 1, Trimester 2 etc. and each trimester can contain all the requirements like exam papers, Schedules, Notices, Class wise Information and the information can be updated anytime like Test papers ,Evaluation Sheets ,mark sheets etc. Section can contain individual sites pertaining to teachers where they can maintain their own assets like files, papers, presentations, videos etc. can maintain their own sections and teachers and parents can track their progress anytime from anywhere. Basically the portal becomes the collaborative platform between all the stakeholders that are required to make the functioning of the institution a success. And so the central page provides links as well as the news and announcements for everyone in the organization. Complete development and deployment of Intranet at Client Servers costing a 1, 00,000 USD only. Migration from any earlier version of SharePoint -2003/2007/2010 to new portal based on SharePoint 2013 -80,000 USD only. Annual Maintenance charges for any SharePoint based Intranet/Internet portal -60,000 USD only. As far as SDLC is concerned we go with the Agile Model as well as Waterfall Model as far as Project Delivery models are concerned .Much is already around about the Agile Methodology and we can further elaborate on it .Depending upon various project delivery circumstances and SLAs we do provide for a flexible Agile Implementation methodology .Wherever there is time and budgetary constraints we failover Agile for the Waterfall model and move in a complete end to end iteration for each phase which eventually ends up actually costing more although efficiency also increases because each second module is on top of a thoroughly tested first module and we monitor the production issues to take those into considerations for the next cycles as well as our comprehensive defect monitoring methodology provides a further impetus on the quality of delivery. 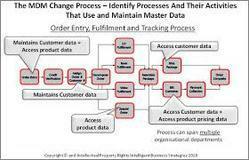 A change management process which strives to avoid 'scope creep' throughout the project. Which means that business requirements or BRs which are delivered as scope level changes will be injected at the defined scope and will be reflected in the delivery as per a clear communication with the client as the scope level requirements injection. MPP is used for Project planning as a standard .If there has to be client integration with respect to project scoping and delivery we do use Project Server as our product. In today’s world Analytics is a growing market demand which gives a definitive edge over competitiveness. Accurate prediction and an understanding of customer behavior can help retailers keep customers, improve sales, and extend the relationship with their customers. SQL Server 2008 offers predictive analysis through data mining, empowering users with actionable insight across the organization. SQL Server 2008 and Microsoft Office Excel 2007 offer data mining capabilities that can help retailers make informed decisions. Predictive analysis can help. For years data mining has been suitable only for a limited audience with expertise in statistics and math. However, Microsoft SQL Server provides simplified tools that bring data mining to knowledge workers. In case of Excel Services while the underlying excel sheet serves as the data repository for Performance Point Services is based on SQL SERVER ANALYSIS SERVICES .It extracts the data from a Data Warehouse in SQL Server and creates a cube which exposes the data to the PPS Services. Excel Services empowers spreadsheet authors to easily and broadly share spreadsheets that use the new business intelligence functionality through the browser. Fully interactive, data-bound spreadsheets including charts, tables, and PivotTable views can be created as part of a portal, dashboard, or business scorecard, without requiring any development. 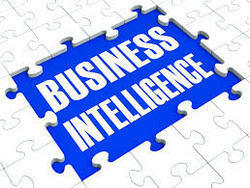 Create rich, interactive business intelligence dashboards that assemble and display business information from disparate sources by using built-in Web parts such as dynamic KPIs, Excel spreadsheets, Microsoft SQL Server Reporting Services reports, or a collection of business data connectivity Web Parts that can visualize information residing in back end line-of-business applications. A site optimized for report access and management, including a report library, data connection library, and a dashboard template. 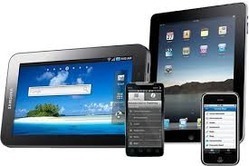 These sites, hosted by the new Report Center, provide consistent management of reports, spreadsheets, and data connections. KPIs communicate goals and status to drive results. Using the KPI Web Part, a user can create a KPI list within a Web Part page, without writing code. The KPI Web Part can display KPIs from Microsoft SQL Server Analysis Services, Excel spreadsheets, SharePoint lists, or manually entered data. In today’s world companies are moving towards a centralized Data Managed Systems and even there they are preferring cloud services because Cloud Services provides a better level of availability and better use of Hardware Infrastructure and cost savings. We take advantage of these latest trends .We have delivered systems based in VMWare Servers in New York Data centers as well as we are also ready to provide services in Windows Azure platform should the customer requirement dictate it . We provide support and services in Business Process Optimization from all perspectives at all stages of implementation from preliminary to System Evaluation and Process Re-engineering as well as Process Optimization and Support activities. 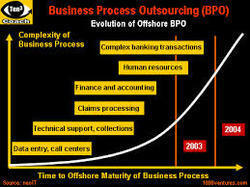 Which means we do undertake process re-engineering as well if there are bottlenecks in the current system. We also undertake to upgrade the systems to the latest levels of patching and provide a stabilized solution to the system state . With the evolution of new systems have come the concepts of Failover Clustering and Mirroring and we support the setup of all those modules. 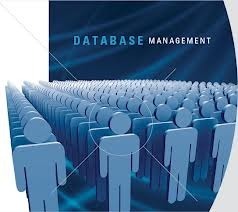 Failover Clustering is currently implemented across server systems which are very sensitive and have to be up and running 24*7 and so the system is designed in a manner such that in the event of a system failure - the second database automatically takes over until the first has been brought online. 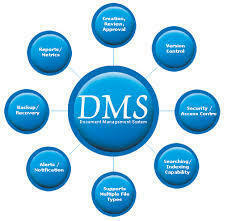 For Disaster management we do undertake the setup in the same Geographical location as well as datacenters dispersed across various geographical locations which is slightly complex and needs various extra requirements - like live synchronization which requires higher bandwidth or offline synchronization - a term which is called log shipping where synchronization happens ate certain time level interventions. 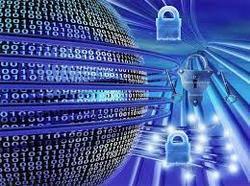 We undertake all such kinds of system setup and management. 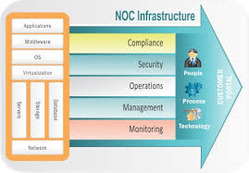 We provide services for the entire Software Infrastructure management .And Network management is an integral part of it .With growing dependency of businesses on their IT Infrastructure and the need for a central data centre as well as introduction of cloud computing and remote management requires an effective and efficient Network Management and Network Infrastructure. Traditionally setting up an IT Infrastructure involves huge cost for setting up a comprehensive hardware structure comprising of multiple costly servers and network equipments .With the introduction of Cloud computing a significant chunk of IT budget can now be reduced by a significant margin .An estimate places that 70% of IT budget or an enterprise goes for Hardware Management and we seek to ensure to cut that cost by maximum amount. Mathematically if the most costly component of TCO is reduced by a significant margin the entire budget could have significant impact on the margins. Cloud services represent an attractive and Cost-efficient continuation of server-based computing and application service provider models. Whether designing a system or re-engineering a system the IT Infrastructure is the basic premise on which the entire organization runs .We create umpteen numbers of organizational system architectures consisting of Physical ,Virtual or Hybrid Server system .When planning and designing the system data security is an integral part of the decision making. For market players in Publishing and Print media the size of content can grow at a very rapid rate and with that comes the difficult task of organizing and managing the content and media types .We at Compitz provide the end to end solution in that arena .Combined with the Microsoft SharePoint Offering in Publishing and Content management we provide the end to end system setup and designing the whole process flow so that much of it is taken care of through automatic means. 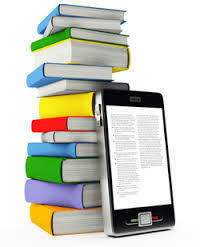 We also provide multi lingual configuration and support for the Publishing houses. We have developed this product for commercial organization .Intranet is the need of the hour for any company which employs more than 10 employees .Just as important is your office space, in today’s world equally important is your Internet/Intranet space. It’s like the office on the go. Contains all the artefacts related to company policies for various activities. Day to day tracking of Customer orders /Customer Satisfaction. Within the office available as a company employee .Once you are outside of office you can access it from anywhere across the world after being authenticated into the system. Complete end to end setup with company style branding . The social computing and collaboration features in SharePoint 2013 offer an improved administration and user experience, in addition to new functionality for enterprise users to share and collaborate with others in their organization. The introduction of Community Sites offers a forum experience to categorize discussions around subject areas, and to connect users who have knowledge or seek knowledge about subject areas. Additionally, the new Community Portal enables a search-driven result page of communities for users to discover and explore from a link on their My Sites. Improvements to My Sites offer a more intuitive workflow for users to develop their personal profiles, store content, and keep up-to-date with activities of interest through the use of the new microblog and feeds experience.